Andre Greipel won the Tour of Britain's fourth stage as the German held his nerve in a sprint finish at Leamington Spa on Wednesday. 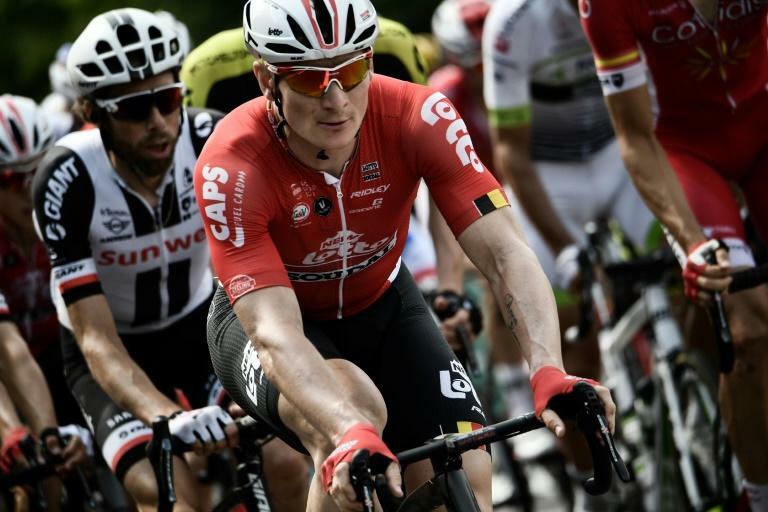 Greipel, riding for Lotto-Soudal, won for a second time this week, adding the 183.5-kilometres stage from Nuneaton to Sunday's opening win in Newport. Italy's Sacha Modolo of Education First finished second, with New Zealand's Patrick Bevin coming in third place. "I knew it was going to be a long sprint but I planned to go from the corner full gas and it worked out perfectly," Greipel told ITV 4. BMC Racing's Bevin held on to the overall lead by picking up four bonus seconds ahead of Thursday's fifth stage, a 14km uphill team time-trial from Cockermouth to Whinlatter. Australia's Cameron Meyer is four seconds behind and Julian Alaphilippe of France is a further two seconds back. "It was the plan to be first into the last corner. If you're going to lead out, you're not going to win, but you might get a podium and some more time," Bevin said. "With 400 metres to go I had Jempy (Drucker) drop me off and then I came up the inside of the corner." The race finishes on Sunday in central London. 1. Andre Greipel (GER/Lotto-Soudal) at 4hr 22min 04sec, 2. Sacha Modolo (ITA/Team EF Education First-Drapac) at same time, 3. Patrick Bevin (NZL/BMC Racing) s.t., 4. Rick Zabel (GER/Team Katusha Alpecin) s.t., 5. Carlos Barbero Cuesta (ESP/Movistar) at s.t.